Active Aging Week is always an exciting time for the NIFS Active Aging team. Our team members work hard to create opportunities for the residents ranging from sports, recreation, and trivia to meditation, education, and beyond with the goal of celebrating a positive view of aging. NIFS staff members across the country went above and beyond this year to encourage residents to step outside of their comfort zones and celebrate actively aging all week. 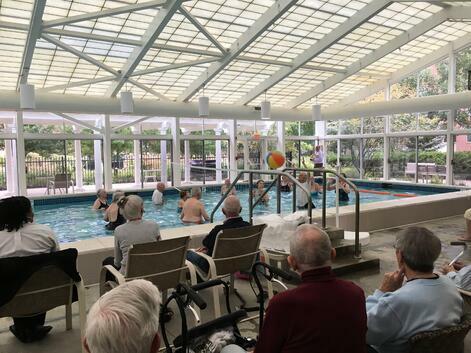 This spirit was most certainly demonstrated by the water volleyball tournament that took place between our senior living sites in Chicago, IL, and Lincolnwood, IL this year. I had the opportunity to speak with both Ruth, the NIFS Fitness Manager at Lincolnwood, and Leah, the NIFS Fitness Manager at Chicago, to see how the day went. Check it out! Q: What inspired the idea of a water volleyball tournament between Lincolnwood and Chicago? Ruth: I really wanted to put together more activities between our Illinois sites, and water volleyball seemed like a great way to get our residents together and get to know the other community. Leah did a great job of getting her residents to practice and actually come with their A game this year. I really would like to host chair volleyball tournaments to include Wyndemere as well since they don’t have a pool. Leah: Last year, Lincolnwood came to the Chicago site to play water volleyball. We assembled a team for the event without ever practicing. The Lincolnwood players told the Chicago players that they “skunked us,” and that didn’t sit so well with our competitive residents. A rematch with Lincolnwood was one of the first requests I received when I started in Chicago last March. From there it was just a matter of timing, and we thought tying it into Active Aging Week was a great idea! Q: So, let’s get the obvious question out of the way…who won? Leah: I’m proud to say we brought the Poinsettia Trophy home this year. We had several residents who had played last year say they would only play this year if we practiced first. I put four practice times on the schedule, and the players enjoyed it so much they requested two additional practices. They were taking no chances this year and their hard work showed…we “skunked” them! Ruth: Yeah, yeah they beat us...this year! We have an ongoing water volleyball group here at Lincolnwood that meets on Saturday mornings. They have a team resident leader, and honestly they were overly confident this year and really didn’t play to their full potential. Nonetheless, we loved having the Chicago team here and enjoyed the time together since we do a lunch afterwards as well. Q: What do you think the residents enjoyed the most about the tournament? Leah: Play is one of the best things you can do for your mind, body, and soul; and unfortunately, it seems like we lose sight of that as we age. This tournament gave our residents the opportunity to reconnect with their younger selves, become part of a supportive team, play, and have fun! Our team is a competitive bunch. They were jumping, leaping, and diving for the ball. One resident told me after the tournament that being on this team was the best workout and the most fun she had had in years. Ruth: Definitely promoting water volleyball is a way to reach out to our residents as another form of exercise beyond the standard fitness classes. They love the competition aspect and really enjoy developing as players, regardless of their age! Many of them played volleyball throughout their life. Q: Were there any surprises? Anything that stands out from the day? Leah: My residents were shocked and not too happy to find the beach ball at Lincolnwood was quite a lot bigger and heavier than the ball we have at Chicago. It really threw the team off during the first game (which is the only game we lost at the tournament). It was fun to see them adjust their style of playing. Ruth: We actually were equally surprised last year when we had to play with a smaller-version volleyball; perhaps we need to come up with an in-between ball. I think the biggest surprise for us was how prepared the Chicago players were, their setups were definitely practiced. Leah: There were many highlights of the day, but the thing that stood out to me most was the game-winning point of the final game. There was so much tension in the air as our resident made the final serve. When the ball dropped to the water and scored the final point, the Chicago residents just erupted with a cheer. On our way home the team asked if we could continue to play once a week and open it up to all senior living residents. It is now on our schedule every Wednesday at 1 pm! Ruth: The good news is that our players surprised me by not being upset over the loss; they embraced the camaraderie among both communities. They also appreciated the positive comments regarding the pool size and the luncheon, but they are excited about next year and heading back to playing at The Clare. Q: Do you have any advice for fitness staff who want to host a similar tournament in their community? Leah: I definitely recommend having a few practices before playing an actual game and communicating with the other facility about towels and water. The site in Chicago provides towels at the pool, but Lincolnwood does not, so I was thankful Ruth let me know that in advance so we were prepared. I’d be sure to clarify the rules with the players before the game. Ruth was kind enough to coordinate a buffet lunch after the tournament so all of the players got to enjoy a lunch together. Timing wise, we allowed 30 minutes between arriving at Lincolnwood and starting the game, and 30 minutes between the last game and lunch. We could have done 20 minutes between each instead because our residents transitioned more quickly than expected. In addition to the Poinsettia Trophy, Ruth also prepared a laminated certificate for the winning team, which we framed and will hang in our pool area. The residents are extremely proud of the certificate and have brought their grandkids in to show them. Ruth: Ditto on the above. Have those rules laid out in advance so all the players understand before the tournament and set up practices months to weeks before the actual game! It really is just a fun way to bring communities together and showcase NIFS’s work in providing programs that continue to encourage a “healthy lifestyle” for both the mind and body to equal active aging! Thanks for sharing, Ruth and Leah! To learn more about partnering with NIFS to manage your senior living community, click the link below. The holidays are right around the corner, and the first thing that comes to mind is all that food! You don’t want to look like a Santa at the start of the New Year! Well, don’t feel guilty about consuming the goodies; just get smart! If you have an understanding of what it takes to properly fuel your body, specifically as you age, the healthy eating process doesn’t seem so daunting. Older adults have different needs, and there are some key nutrients that are really important to maintain. Let’s get back to the word SMART. Here’s a simple way to eat healthy using this acronym for healthy eating during the holidays. The first section is whole grains (wheat bread, brown rice, fortified whole-grain cereals). The second section is protein (lean meats, eggs, fish, beans, cheese, tofu, peanut butter). The third section is vegetables (fresh, frozen, dried, low-sugar canned). The fourth section is fruits (fresh, frozen, dried, low-sugar canned). This is true for every plate at every meal. Eliminate processed foods as much as possible. If you must open a package or can, be sure to check the ingredients. Examples of things to look for are words such as “whole” for grains and “low sugar” for canned fruits. Remember to also control salt intake and instead flavor your food with herbs and spices. Think of the holiday lights and create a colorful plate! The more color found in veggies and fruits, the more nutrients to fuel the body! The majority of these nutrients are found in the above foods. Supplements are also important to ensure that we obtain them, but the word is supplement, meaning “in addition to”; therefore, take supplements in addition to getting these nutrients through food. It’s fine to eat a slice of cake or have a cookie, but be mindful of how many. Remember to lower your intake of saturated fat and sugary treats that can lead to heart disease and unwanted pounds (and here are some healthful baking substitution tips). When you think of your plate, consider that 90% is the food that will provide your nutrients and 10% can be that “occasional” brownie or piece of pumpkin pie. Drink plenty of fluids! No, the holiday punch doesn’t count, so limit your alcohol intake. Drink water and realize that you can also obtain your fluids from juice, low-fat milk, and even soups. Physical activity is also important in maintaining a good digestive system, and the good fuel from food will be used to restore muscle and burn fat for weight loss. Get your body moving after those holiday meals. Be SMART this holiday season! Happy holiday eating! Need help getting your eating habits on track? 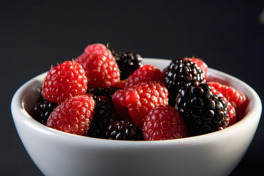 Use NIFS Dietitian, Angie Mitchell to get your habit in line with personal nutrition coaching. Click below for more information. Quick! What’s the first thing that comes to mind when you hear the word “water”? Is it the beach? Rain? Thirst? How about hydration? Most people have heard that on average the human body is made up of about 60 percent water, but what exactly does that mean? Why is water so important to the human body? Well, let’s look at the facts. Water plays several important roles in the human body. Water regulates body temperature through sweating and respiration. It helps to lubricate the joints for movement. Water carries oxygen, nutrients, and hormones to various body parts for adequate functioning, and removes toxins and waste. Water especially helps to maintain regularity of the bowels and prevents unwanted body aches and conditions such as heartburn, migraines, ulcers, kidney stones, and backaches. Consuming adequate amounts of water each day can also help to lower blood pressure, reduce the risk of heart attack and stroke, as well as reduce cholesterol levels. How? Well, the more water you drink throughout the day, the more fluid leaves your blood vessels. When this happens, your blood vessels are able to relax. When the vessels relax and dilate, a decrease in blood pressure occurs. When the blood vessels remain relaxed and pressure lowers, the risk for other serious cardiovascular conditions decreases as well. Reduction in blood pressure specifically helps to decrease the risk of stroke and heart attack. How Much Water Does a Person Need? With all of these different body systems relying on water to help them run optimally, how do you make sure you are consuming enough? Recommendations vary on this topic, but remember that water comes from more than just the bottle we drink throughout the day. It is believed that about 80 percent of water intake comes from drinking, and the other 20 percent comes from the food you consume throughout the day. The most recent recommendations suggest that women should consume 9 cups and men 12.5 cups of total beverages each day for optimum hydration. So you know why you need water and how much, but what factors affect hydration changes besides how much you consume? Additional considerations relating to hydration include your physical activity level, current health state (such as if you have a cold or flu), heat, and humidity. Sweating during activity is your body’s way of maintaining an adequate temperature. If you are working out and sweating, your body is losing water. So remember to hydrate before, during, and after a workout. If you feel ill and experience a fever, vomiting, or diarrhea, fluid intake should also increase to prevent dehydration. Lastly, be aware of your environment and how you feel. If you become uncomfortably warm or are exercising in hot or humid climates, be sure to consume above-average amounts of water. Lastly, water works with your metabolism to help with weight maintenance. If you are hungry, drink a glass of water. If your body is lacking water, thirst can easily be mistaken for hunger. Increasing your water consumption can help contribute to a healthy weight-loss plan while providing your body with the many elements it needs to survive. March is National Nutrition Month! It may be time to revisit and reestablish your New Year’s diet resolutions. I wanted to pass along a basic guide to healthy eating and lifestyle habits that can also be used for weight loss. Following is a checklist of six healthy habits to guide you on the path to better dietary health. If you are continually skipping any of these steps, you are probably missing opportunities to keep your weight in check or to keep your body healthy and your metabolism strong. 1. Drink at least 64 ounces of water a day. Every person is different, so the need for more water comes with extra weight and increased levels of activity. But 64 ounces is a good baseline for hydration. Unsweet tea and zero-calorie drinks count. Diet sodas and coffee do not. WARNING: Don’t jump from 20 ounces a day to 64 ounces! Your bladder will not appreciate the drastic change. Instead, increase by 8 ounces every week until you reach 64 ounces. 2. Make your breakfast, lunch, and dinner plates look like the ChooseMyPlate diagram. When trying to lose weight, go with half a plate of vegetables for meals (especially lunch and dinner) and save the fruit for snacks. Feel free to go off the beaten path and give veggies a try for breakfast. Who says you have to have breakfast food for breakfast? Try scrambled eggs with chopped veggies, or top a baked sweet potato with Greek yogurt and chopped nuts. Use a salad-size plate instead of a regular dinner plate. Track what you are eating. Use free online tools like www.myfitnesspal.com to determine how many calories, protein, carbs, and fat you are consuming. This includes weekdays and weekends. Note: Do not go below 1,200 calories without medical supervision. Women typically stay between 1,200 and 1,800 calories for weight maintenance and weight loss. 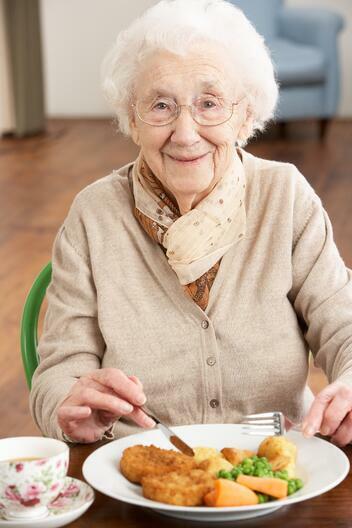 Older, more sedentary women should eat closer to 1,200 calories. Younger, more active women can eat for maintenance and weight loss, eating closer to 1,800 calories. Men typically fall between 1,800 and 2,200 calories for both weight loss and maintenance. Older, more sedentary men should eat closer to 1,800 calories. Younger, more active men can lose or maintain weight eating closer to 2,200 calories. Teenagers and young guys who are very active may need well above this amount. This range is relevant to those with desk jobs who get in a decent 30 to 45-minute workout during the day. 5. Make sure you are active throughout the day. Think 3 minutes of activity (walking, walking in place, desk exercises, taking a flight of stairs up and down) for every 60 minutes of sitting. If you have time for a longer walk or workout, great! Missing out on sleep can interfere with your mental acuity as well as your weight loss/maintenance efforts. Lack of sleep increases cravings for simple and refined carbohydrates that contain little nutritional value but lots of empty, unsatisfying calories. Give up the late-night shows and get your 7 to 8 hours of Zzzz’s. The benefits go well beyond more productivity at work. There you have it! Were you able to check off all of the above? Great! Keep up the hard work. If not, celebrate National Nutrition Month by choosing one of the above recommendations and implementing it consistently. Once this behavior becomes second nature, adopt a new habit to practice. Remember, long-term success requires sustained practice and patience. Don’t let a small or even big bump in the road discourage you from moving forward. Your health is worth the effort! 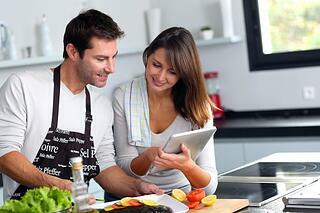 Click below to download NIFS Top 4 Apps for Healthier Eating! Do Your Residents Understand That Wellness Is More Than Fitness? Make no mistake about it, physical activity is important. Study after study links regular exercise with myriad health benefits. And more recently, there have been a host of research proclamations professing the value of exercise to stave off cognitive decline. We were made to move our bodies. We were built to spend the bulk of each day in motion. You will never hear me say that exercise isn’t really that big of a deal. But it’s not the only deal when it comes to resident wellness. And more often than not we work with residents who think they’re doing “that wellness thing” because they take water aerobics three times per week. Commonly, residents don’t see the bigger vision for their wellbeing. It’s your job to continue opening their eyes to additional opportunities for living, experiencing, tasting, touching, learning, and giving throughout life at your community. That means attention to all dimensions of wellness. But here’s what we’ve learned: When you manage, program, and execute well on all dimensions of wellness, there’s a strong chance that your fitness program will further excel. So, where do you start? If your residents have tunnel vision about what living well really means, how can you nudge them beyond their limited perspective to experience and to truly understand more about the possibilities for living well? Are you building multidisciplinary events for your community? If so, how are you inviting residents to participate? 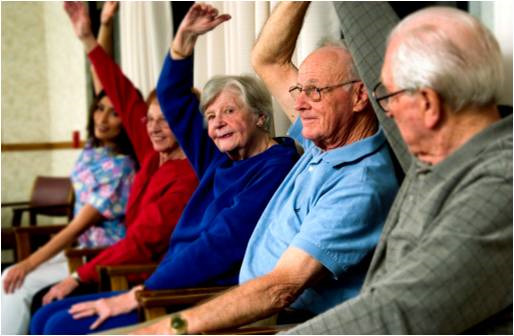 Is the programming passive (residents sit and observe) or is it active (residents move, engage, and interact)? Do you have the right balance of those activities? And maybe the most important question for consideration: how do you know your programming is actually working? It’s tough. It can be hard to know if you’re hitting the mark with your audience. And let’s be honest. Sometimes the personnel tasked with cultivating a resident wellness program don’t really understand the whole multidisciplinary thing, either. So how do you start over…to begin at the beginning? Start with a simple, multidisciplinary initiative that anyone in your community can administer and that all of your independent residents can embrace. And today is your lucky day because one of NIFS Best Practices for senior living is a profile of our Wellness Challenge. This simple program folds in competition for both residents and employees on teams over the span of eight weeks. The initiative drives participants toward diverse opportunities in their community. Some of the spotlighted wellness events are one-time events coordinated intentionally with the challenge in mind. Other key activities for the challenge are ongoing programs or services that are routinely available but which might otherwise be overlooked as residents and employees move through their daily routines. The average participant spent more than 90 minutes each week engaged in volunteer-related efforts. Most participants averaged more than 7 hours per week enjoying activities that captivated their brains, such as lectures, reading, music, and puzzles. Ninety percent of participants were able to meet the daily water consumption goal for the challenge. Increased fitness center visits by 43 per month. Increased group fitness class participation by 65%. Increased the number of residents with eight or more visits per month to the fitness center by 31%. Want to learn more about The Wellness Challenge? Sign up for our Best Practice series to receive the Wellness Challenge webinar as well as all of the other Best Practice spotlights. 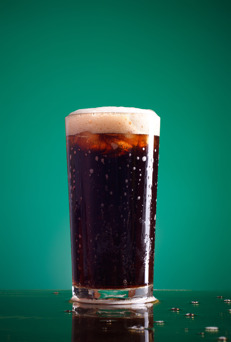 Many people feel that drinking diet sodas is a healthy alternative to regular sodas. While we may believe artificially sweetened beverages may help cut daily calorie intake and therefore minimize weight gain or aid in loss, there is evidence that they can put employee health in danger. Some studies have suggested that diet colas are actually linked to weight gain. Another study claims that people who consume one diet cola each day may also have a significantly increased risk for cardiovascular events compared to those who do not drink sodas. While the full story about what links diet soda to heart disease may not be fully revealed, you certainly aren’t missing out on any vitamins, minerals, or other health benefits by not consuming these beverages. Some experts suggest that minimizing these types of beverages and including more water in your day may not only cut risk for cardiovascular disease, but also provide health benefits. Want to know what you can do to help your employees make better nutritional decisions that not only prevent significant health issues but also protect their health? A qualified corporate fitness management company can help you and your organization guide your employees toward daily activity and nutritious choices. There is no doubt about it: water is good for you in several different ways. How much water is needed per day varies from person to person. Water needs vary because you need to take into account how active someone is or how much they sweat on average. So if the staff at your onsite corporate fitness center makes you sweat a lot during class, you need to be sure to drink plenty of water throughout the day to stay hydrated. 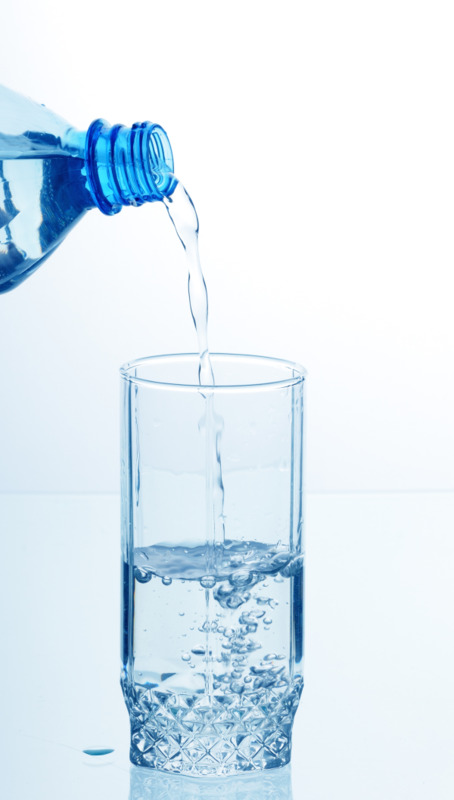 Not drinking enough water can decrease your energy level and cause health issues. To stay hydrated and keep energy levels up. To help with muscle recovery after a hard strength workout. To make you feel full so you eat less. To lubricate the joints for less pain. I try to keep a full water bottle on my desk while at work. Before I know it, it’s time to make another trip to the water filter for a refill. Add lemons to your water to spruce it up and add a little flavor. Some days I make Crystal Light, which is a sugar-free, flavored powder that you just add water to. This helps me to add some variety to my water intake. I also like to drink hot tea in the winter. Surprisingly enough, you get water from food, too! For example, a healthy salad with lettuce and fresh vegetables adds water to your diet. Lower-sodium soups are another good source of water. What tips and tricks do you have to make sure you're drinking enough water throughout the day?